A radiation technician checking to make sure radiation levels are below regulatory limits. 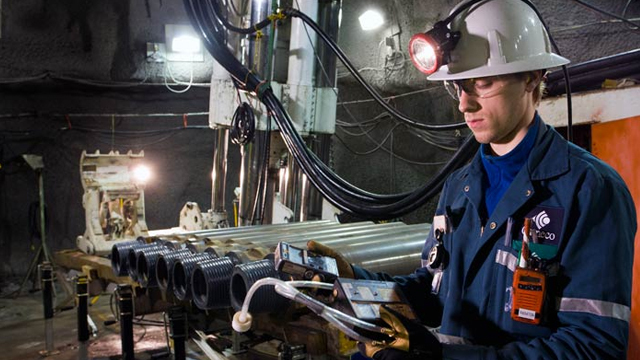 Canada’s uranium mining sector is a heavily regulated industry, monitored closely by the Canadian Nuclear Safety Commission (CNSC) to ensure the safety of workers, the environment, and the public. Here’s a breakdown of the safety measures at each phase. Before construction of uranium mining or milling operations, site owners or operators must take samples from the nearby soil, water, air, flora, and fauna to document the state of the environment before mining begins. During construction and operation, the operators continue to take samples regularly and check them against original conditions, to ensure that the environment is being protected. Results of this monitoring are submitted to federal and provincial regulatory authorities for review. Testing by independent agencies of water bodies downstream from uranium operations in northern Saskatchewan demonstrate that there have been no effects on water quality, while local wild foods, such as moose, fish, and berries, continue to be safe to eat. 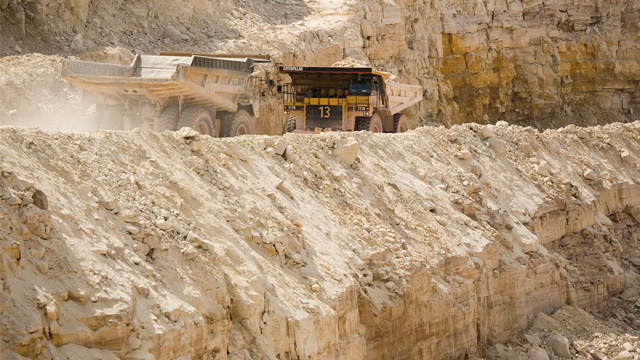 All uranium mining and milling operations have formal safety and radiation-protection programs and codes of practice, to ensure that workers and the public are safe. These programs require that radiation protection be considered in the design of all facilities and operating procedures. They also provide for systematic monitoring of radiation in work areas, and track the exposures of individual workers, through a combination of monitoring devices and health testing. A field technician collecting a water sample from a lake downstream of a uranium mine. Rigorous safety practices are not limited to the handling of uranium ore and concentrate. Even waste rock from mining operations, which contains very low concentrations of uranium and other metals, is managed to protect the environment. Waste rock is stored on engineered pads and, where necessary, runoff water is collected and treated to remove contaminants before it is released to the environment. Waste rock management facilities are monitored as part of the extensive environmental monitoring program in place at each operating site, to ensure that any issues are identified and addressed. Similarly, after milling has removed uranium from ore, what is left is called “tailings”, which also contains low levels of matter that could remain radioactive for long periods. Environmental modelling shows that this matter can be managed and secured safely. In Canada, mill operators place the leftover material in tailings facilities, and cover them with water. The active tailings facilities at all of Canada’s uranium mills are state-of-the-art facilities built into large, mined-out ore pits. While the mill is active, operators collect groundwater from a series of wells around the facility. By the time operations cease, the tailings will have become a solid, dense mass. Groundwater will flow around the consolidated tailings, rather than through them, to minimize environmental impact. The facilities are designed to contain the material securely for thousands of years. All water used in uranium mining and milling processes is treated to remove contaminants before it is released into the environment. Uranium concentrate is safely transported by road, rail, or sea in conventional shipping containers. Handling precautions applied to other potentially hazardous industrial chemicals are sufficient to protect people and the environment. In the event of an accidental spill, the material would be collected by trained personnel and delivered to a licensed facility for repackaging; there would be no significant effect on people or the environment. The CNSC inspects and reviews the transportation of uranium from mining and milling operations to ensure the safety of workers and the public. Trucks hauling uranium ore and waste rock to the surface. All uranium mining and milling operations must eventually be decommissioned. During this phase, the operators remove all structures, secure and landscape the tailings and waste-rock facilities, fill or flood the open pits, and close the mines, backfilling them with concrete caps. After the physical decommissioning is complete, the sites are subject to an extended monitoring period to ensure that the environment is protected.